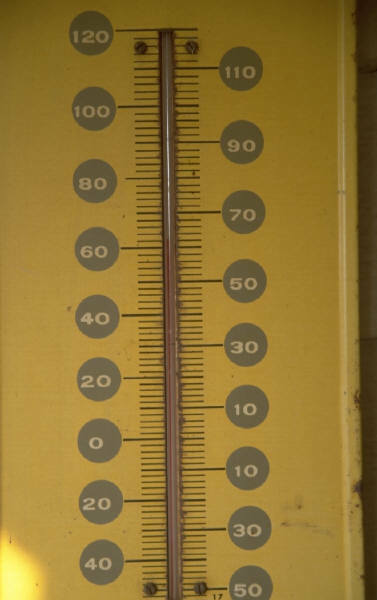 Central England Temperatures have been recorded from 1659, averaged across several observing locations in the centre of England, and serve to give a longer timescale to temperature changes over the centuries. There has been an general increase in mean temperature from 8.8degC to 9.7degC, nearly a degree, over the 350 years, although annual means do vary quite a lot. Temperatures in the last decade do appear to have risen above the long term trend line. 30-year data spanning the years 1981-2010 is used to provide comparison with Halesowen means. 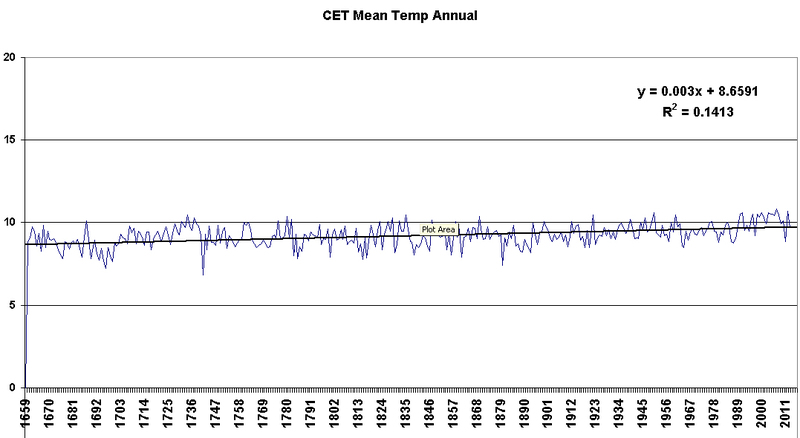 This shows long term mean monthly temperatures, based on the Central England Temperature data from 1659 to 2012.